In need for Green Service Providers? BuildGreen Romania is the first Romanian company providing assesment services (BREEAM and LEED), construction project management services for buildings and Green Building design support and consultancy. CUNDALL Engineering is a international multi-disciplinary consultancy operating company with over 20 locations across the globe. Cundall’s engineering consultancy services cover the entire life cycle of any building project offering sustainable design solutions. The winner for this category was Epstein Architecture & Engineering. During the annual event in wich RoGBC evaluated the past year’s activity, the new board of directors was announced, after previously being elected by the members. According to the status of the organization, the RoGBC members had a month to vote the new board of directors for the 2012 – 2013 period. 63 members of the 108 with voting rights, expressed their opinion, an abstention being also present. According to the votes, five of the seven nominees have been elected. Good luck to the new Board of Directors! Building green means building for the future, but at the same time building green has a lot to do with the past. Tradition and sustainability are, in a way, similar : both of them have to defeat time. Therefore analyzing tradition can reveal very interesting facts about the way people in the old times perceived sustainability and even applied it, although the term did not yet exist. 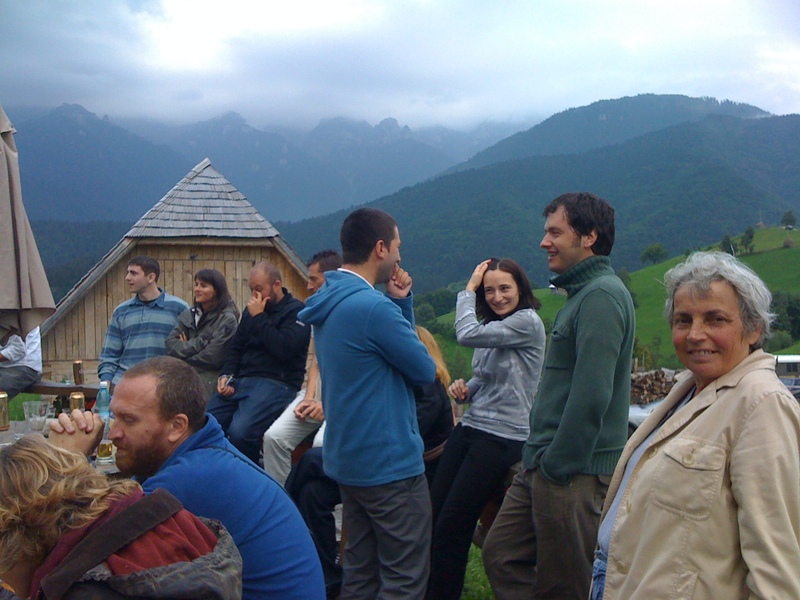 The RoGBC used this idea and transformed it into an exciting event in Transylvania, the mountainous heart of Romania. In the medieval environment of the “Land of the Seven Citadels” – as Transylvania is historically known – the participants took notice of the roots of sustainability in Romanian architecture and also got acquainted with the traditional Romanian food, music and folk dances. Architect Horatiu Racasan held a presentation on sustainable construction practices and also showed some of his projects. Eva Schmincke, a director of the German Sustainable Building Council (DGNB) and product specification expert, discussed the future of sustainable construction materials product declarations (EPD) and their role in sustainable construction in Europe. Gabriel Rosca, President of the Sibiu chapter of the Romanian Order of Architects discussed the results of a summer school where attendees developed and presented urban planning and green solutions for the city’s challenges. Nicholas Dimancescu showed a short film and explained the history and development of the Inn at Balaban – our venue for the weekend in Transylvania. Sabin Maghiar of Monsena demonstrated some of the work their company is doing for historical renovations in Romania. Architect Silvia Demeter of Context Architecture and Romania’s representative to the European Council of Architects provided an excellent tour of Brasov city despite some interruptions from uncooperative weather. The sun got friendlier as we visited the Rasnov fortress. As they first arrived in Bucharest, the participants took a walking tour through the capital city and hear about the stories behind its most important buildings. Luiza Hanc and Octavian Partenie, two of the associate members of the RoGBC, as well as RoGBC Communication Specialist, Alina Kartman, were in charge with providing the information for the tour. Check the RoGBC Flikr account for more photos from the event. The German Green Building Council (DGNB) announced the opening of the application period for the 2010 edition of the Prime Property Award. The competition is organized every two years by Union Invest, a company specialized in property management and also a member of the DGNB. The prize is awarded to property investors in Europe who excel at integrating sustainability aspects into the development and redevelopment of commercial and private buildings. The current theme for the 2010 Award is “Creating sustainable investment and places” and the projects registered must have been completed between 2004 and 2009. The winners will be selected in a multistage process by an international jury of experts comprising investors, architects, town planners and project developers. For the evaluation a detailed list of criteria has been developed which enables the jury to measure and compare sustainable interaction between real estate, the environment and society. The awards ceremony will take place in Munich at EXPO REAL, Europe’s largest commercial property show, in October 2010. The deadline for entries for the first phase of the competition is 15 December 2009 and total prize money for the Prime Property Award is 30,000 Euros.